Based on the quote above, answer the questions below. 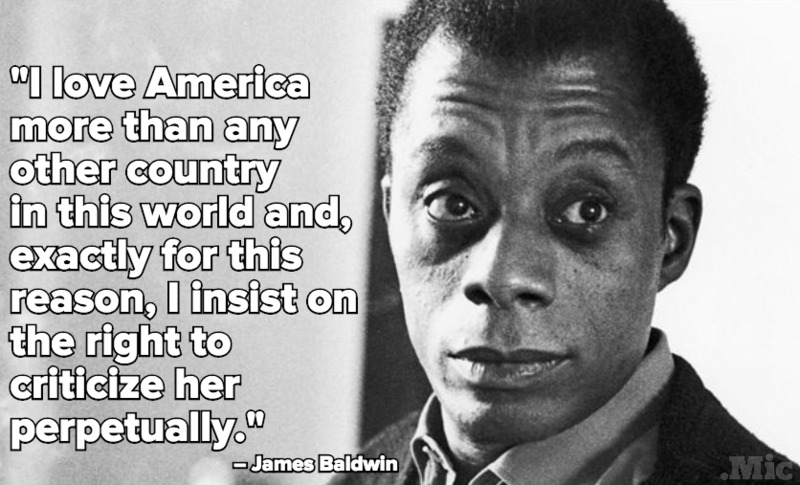 In what ways is Baldwin demonstrating his patriotism? Is he? Why or why not?